Component, Oh! Ring, rubber, orange, 10mm round with 6mm hole. Sold per pkg of 300. The Oh! Ring is made from soft, non-latex synthetic rubber. Use them as spacers, links or beads. Colors may vary from dye lot to dye lot. Component, Oh! Ring, silicone, neon orange, 10mm round with 6mm hole. Sold per pkg of 300. Component, Oh! 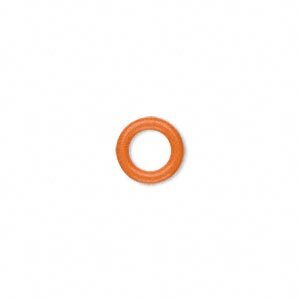 Ring, silicone, orange, 10mm round with 6mm hole. Sold per pkg of 300. Component, Oh! 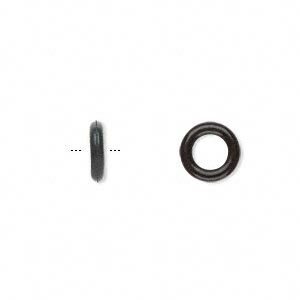 Ring, rubber, black, 10mm round with 6mm hole. Sold per pkg of 300. Component, Oh! 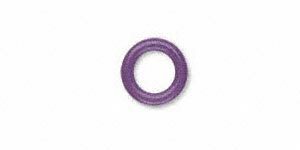 Ring, rubber, purple, 10mm round with 6mm hole. Sold per pkg of 300. Component, Oh! Ring, silicone, neon pink, 10mm round with 6mm hole. Sold per pkg of 300. Component, Oh! 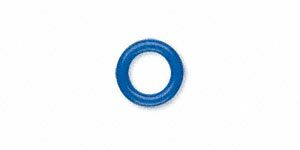 Ring, rubber, blue, 10mm round with 6mm hole. Sold per pkg of 300. Component, Oh! Ring, silicone, neon blue, 10mm round with 6mm hole. Sold per pkg of 300. Component, Oh! Ring, silicone, pale yellow glow-in-the-dark, 10mm round with 6mm hole. Sold per pkg of 300. Component, Oh! Ring, silicone, neon green, 10mm round with 6mm hole. Sold per pkg of 300. Component, Oh! Ring, silicone, neon yellow, 10mm round with 6mm hole. Sold per pkg of 300.